We created custom cards two years ago, but not last year. Why? Because honestly, I just couldn't get my act together, and the process seemed burdensome on my already hectic holiday season. I was able to try FedEx Office Custom Holiday Cards this year, however, and I can see a big difference! And don't forget! If you use FedEx services to send your gifts -- like we do -- you'll want to remember these important shipping deadlines to get your stuff there BEFORE Christmas! To be entered to win, just tell us how many holiday cards you'll send this year! You have until December 10th at 11:59pm CST to get your entries in, and the winner will be randomly selected from all complete entries. One entry per person, please. Open to U.S. residents 18+. 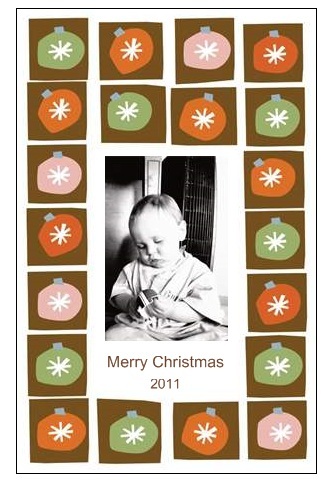 *I received a $50 gift card from FedEx Office to make this Holiday Card. I am solely responsible for selecting the winners for the giveaway (not FedEx Office). The opinions stated in this post are 100% my own. I am planning on sending around 30 cards this year, that said I always remember people I have forgotten after I write my list! We will probably send out 25 cards this year. I will probably send out about 60 cards this year...or more!!! I will send about 35 cards out this year. I will send about 15 cards to close friends and family.